If you love travelling, you will love these travel agencies’ travel fairs! 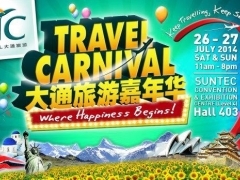 CTC Travel (Commonwealth Travel Service Corporation Pte Ltd) will be holding their travel carnival over the weekend of July 26 to 27 2014. Visitors can expect more than just travel deals at the carnival. There will also be performances, you will get to sample local delights at the country pavilions and there will be activities for the kids. The two day event will feature celebrities appearances and performances from overseas. 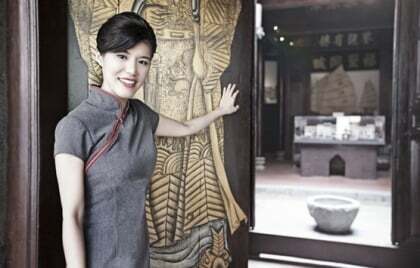 Singapore celebrities will be sharing their personal experience about their trips. Grammy award nominee, Ten Drum Art Percussion Group will also be putting up a performance. If you are still undecided on where to go for your next trip, head to the country pavilions for some inspirations. There will be food stations for you to sample the local delights. Visit the Australian pavilion for a free cup of Gourmet Coffee and a piece of delicious waffle. There will be limited cups of hand-crafted Gourmet Coffee & Waffles is head there early! Pick up some tips from Taiwan’s award winning manicurist or get a free gelish manicure at the Taiwan pavilion. DBS and POSB card holders, don’t leave your credit cards at home! There will be exclusive discounts and special deals to enjoy. Senior citizens above the age of 65 can also look out for special pioneer generation deals. There will be plenty of prizes and freebies to be given away during the carnival. Don’t miss the hourly lucky draw on July 27 from 12pm to 8pm where you can stand a chance to win up to $20,000!